– Yesterday, I wrote about how public bettors weren’t touching the Brock-led-Broncos with a 39 and a half foot pole. However, this morning the tides changed. Their percentage of spread bets, which bottomed out at 15% yesterday, is up to 29%. More importantly, the percent of dollars backing the Brocketship has gone from about 15% to 67%! Thanks to this change of heart, Denver moved from +9 to +7.5 at Bookmaker. – The Falcons/Panthers game has bettors in a bind and I’m not talking not the type Milk of Magnesia will cure. So far, spread bets are split 50/50 right down the middle. However, once the line moved to ATL +2.5, the percentage of dollars (green line) has been on the rise. Since then, the line has fallen to 1. The Falcons are coming off four straight ATS losses and seem to be following the Super Bowl hangover narrative that PJ recently wrote about. – Yesterday, it was announced that Joe Flacco would be returning this weekend after getting his clock cleaned last Thursday. – The Chiefs/Cowboys game during the 4PM Sunday slate may be the best of the week in my mind. With Zeke Elliott out, bettors are siding towards the Chiefs, who are getting close to 60% of spread bets. There isn’t uniform agreement across the market, as some books opened DAL -1 and other opened at a pick ’em. There hasn’t been much sharp action to convincingly move the line either, as it has bounced between DAL -1 and KC -1 over the past few days. – Just as we saw last week, the total in the Houston game has shot up since opening. With 84% of bets and a whopping 97% of dollars on the over, the IND/HOU total has gone from 48 to 51.5. 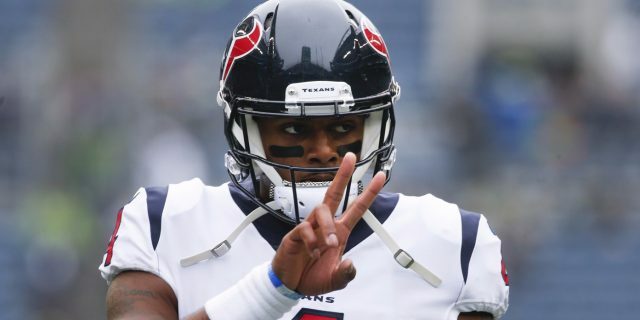 The Texans’ offense has been beating Vegas’s expectations like a rented mule and according to Fantasy Labs, their Vegas plus/minus of +10.54 is tops in the league. – There are two games in which the majority of bets are on the under: 73% on BAL/TEN and 52% for CIN/JAX. The total has actually risen from 43 to 43.5 at Bookmaker for the Baltimore game, as 71% of DOLLARS are on the over. – This week’s slim slate of 13 games touts three with a total of at least 50 at Pinnacle. There have been 10 such games so far this season, with the ‘over’ going 6-4. Check our free odds page throughout the week for the latest odds and percentages. I'm the guy who does his job. You must be the other guy.